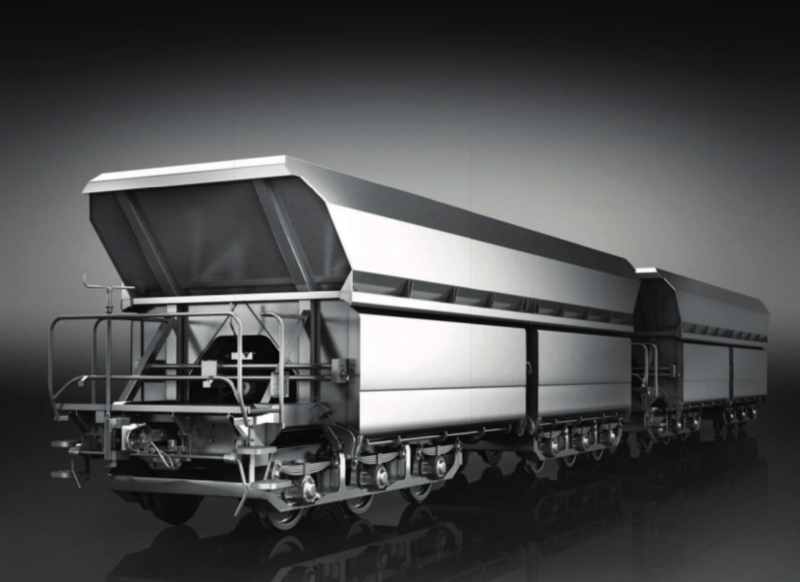 The wagon is designed for transportation of ore.
Loading by filling from the top. Unloading by gravity, outside the railway. Composite brake blocks of Bgu-configuration, hand brake operated from the platform. The wagon is equipped with automatic coupling of C-Akv type.